As your business grows so does your need for business storage. 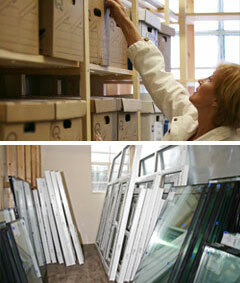 Whether it be to securely archive documents, office equipment, tools, parts or machinery. You could be moving into a new office/shop or industrial premises and need somewhere to temporarily store stock or merchandise. Whatever your need, self storing with SPACE takes away the problem of overcrowding and lets you concentrate on your core business. 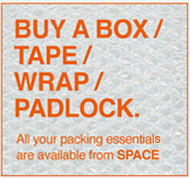 SPACE offer secure, dry and clean storage for all your business storage needs. A wide range of units and container sizes are available, you choose your space personally, meaning you only ever pay for the space you need. Arranging to self store with SPACE is quick and easy, requiring only 1 form of picture identification and the completion of a 1 page tenancy agreement. See the 5 STEP GUIDE for more details on how to reserve your space. SPACE take security seriously and 24 hour CCTV surveillance monitors all SPACE sites, giving peace of mind that all your self store items are safe and secure. 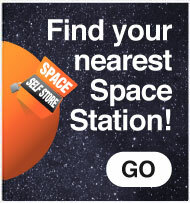 SPACE Self Storage Units and SPACE Self Storage Containers. All the SPACE you´ll ever need.